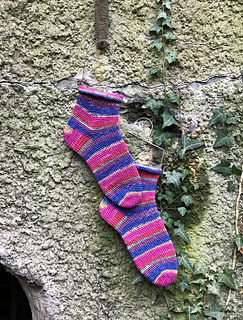 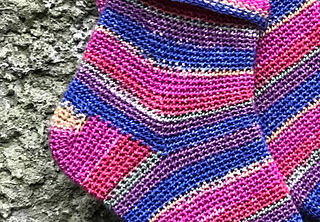 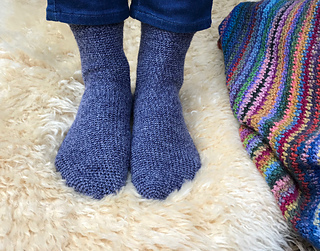 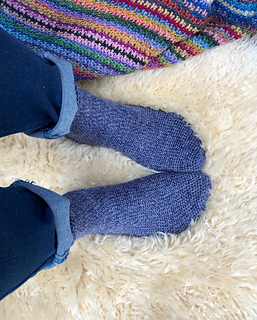 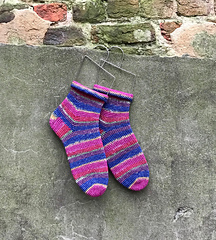 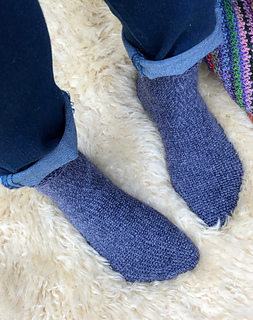 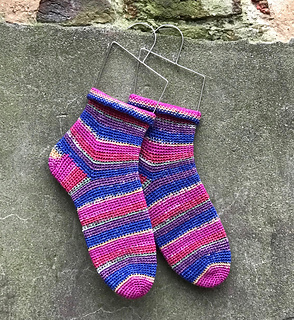 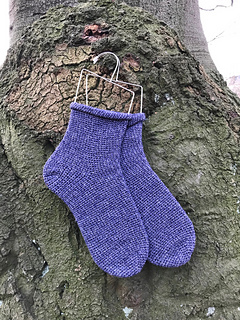 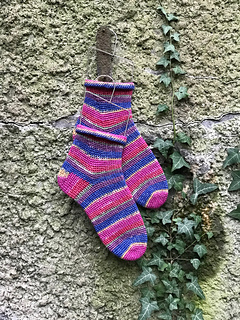 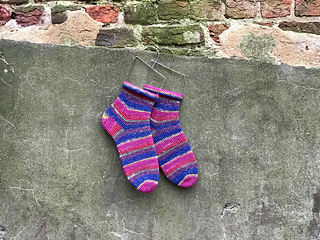 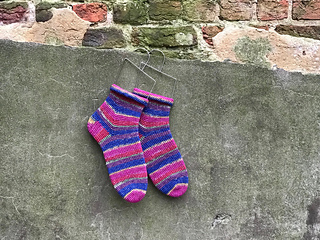 Crochet pattern for comfortable socks with a great fit, worked toe-up, with a rolled cuff. 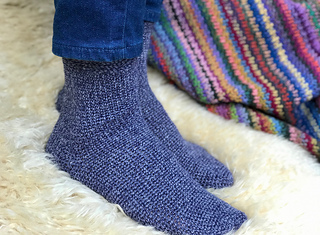 Fully written pattern in 4 sizes : 36-37, 37-38, 39-40, 41-42. 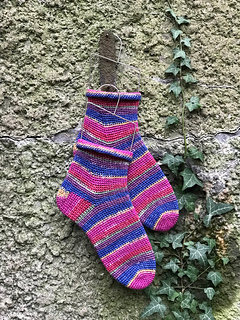 Pattern available in English (US and UK terms) and in Dutch. 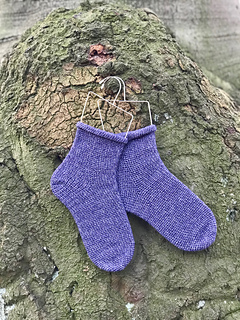 Small chart added for the toe as well. 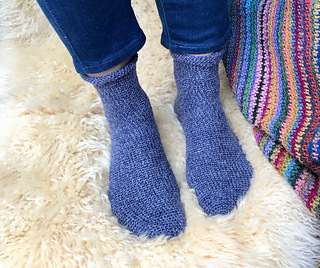 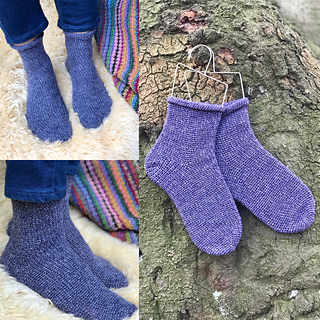 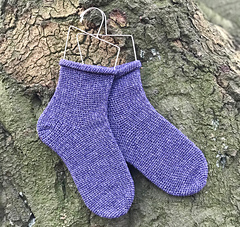 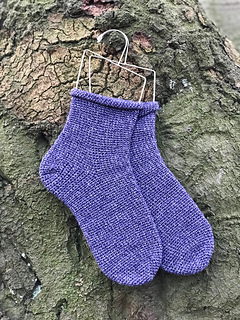 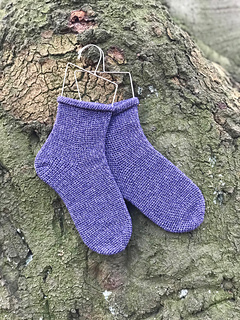 All sizes can be made with 100g sock yarn.